Drinking strong coffee may be good for the liver, scientists in the US have discovered. Coffee drinkers were found to have lower levels of abnormal liver enzymes that are a sign of damaged liver cells. Researchers used information from the US’s National Health and Nutrition Survey to determine their findings. The team measured the levels of enzymes in blood to determine each participant’s liver function. The enzymes include aminotransferase (ALT), aminotransferase (AST), alkaline phosphatase (ALP) and gamma glutamyl transaminase (GGT). Lower levels of these enzymes present in blood is a sign of good liver health. They are usually present when liver cells are damaged or destroyed, or if the flow of the bile produced by the liver becomes blocked. The new study included 27,793 participants, aged 20 years or older, who recorded how much coffee they drank in a day. The scientists concluded that coffee may contain a chemical compound other than caffeine that could protect the liver, which is why decafinated coffee also has protective qualities. The findings back up a number of previous studies which found that coffee consumption may help lower the risk of developing diabetes, stroke, liver disease, and cirrhosis liver damage. Participants who reported drinking three or more cups of coffee per day had lower levels of ALT, AST, ALP and GGT compared to those not consuming any coffee. Researchers also found low levels of these liver enzymes in participants drinking only decaffeinated coffee. Dr Qian Xiao from the National Cancer Institute in Bethesda, Maryland said that previous research had already found that drinking coffee may have a possible protective effect on the liver. But it was not clear whether drinking decaffeinated coffee also conferred the same effects. The findings were published in the journal Hepatology, a journal of the American Association for the Study of Liver Diseases. Among the most beneficial coffee polyphenol is chlorogenic acid, an inhibitor of an enzyme called glucose-6-phosphatase. This enzyme stimulates the excess creation of glucose in the liver, which can result in blood glucoseelevation. These beneficial antioxidants are more bioavailable in organic coffee. 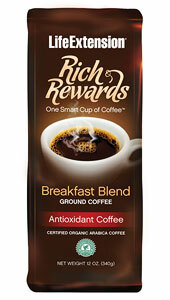 One product is the Rich Rewards® Breakfast Blend Whole Bean Coffee is made using a patented, 100% natural process called HealthyRoast®.2 This process delivers a more complete nutritional profile of the coffee bean, yielding up to 87% more chlorogenic acid than conventional coffees. Handpicked deep in the rainforests of Central America, Rich Rewards® consists exclusively of 100% USDA certified organic arabica coffee beans, gently roasted in small batches—with the polyphenols then added back in to provide optimal health benefits. Ground organic coffee is also available Rich Rewards® Breakfast Blend Ground Coffee—so you can kick-start your day a little faster—in both caffeinated and decaffeinated options. For those who prefer a flavored coffee, Rich Rewards® Breakfast Blend GroundCoffee is available in natural vanilla or mocha flavors. Like our regular Rich Rewards® whole bean and ground coffees, these flavored ground coffees are roasted using the patented HealthyRoast® process—which preserves the special, naturally occurring coffee compounds that soothe (instead of irritate) your stomach. This unique process also guarantees a higher content of healthy polyphenols. More about TavaSencha, Oolong and Puerh are types of tea just like Darjeeling and Earl Grey. But Tava Tea is a unique blend between organically grown Sencha, Oolong and Puerh species and is not found anywhere else. These varieties of tea contain a vast array of powerful nutrients and have been used for health and healing in China for over 5000 years. Tava Tea Wellness Blend is a triple combination of the three most powerful blends of teas in the world. Organically grown and using only the finest, most powerful leaves, makes this blend ultra powerful, for both weight loss and healing. Oolong (also known as Wu Long) and Puerh teas have been used for over five thousand years in China for their health promoting properties. But even these varieties can vary in quality, power and effectiveness. Tava Tea Wellness Blend uses organically grown whole Sencha, Wuyi Cliff Oolong and Puerh tea leaves of the best grade possible, packed into high quality pyramid teabags. Our Oolong for instance, is the Cliff variant, which is one of the most treasured and expensive of the Wuyi family. This means you’ll actually experience all the benefits of this unique and powerful tea blend. Wu-Long tea has been praised as the most powerful natural weight loss aid on the market. It’s gaining credibility daily with accolades pouring in from Hollywood stars like Oprah Winfrey and Rachael Ray. This ancient Chinese tea has been used for thousands of years to increase energy and fight obesity in China and Japan. But now we’ve combined it with two other ultra powerful and effective teas, Sencha and Puerh. This blend of these three mighty teas is unique and not available elsewhere. Oolong (Wu Long) All tea comes from a plant called Camellia Sinensis. Over time, the plant formed chemical compounds known as polyphenols to protect itself from photosynthetic stressors. Polyphenols, which include flavonoids, are antioxidants which protect against free radicals. All tea is green when picked but the difference in green tea and Wu Long tea is the processing. Green tea is heated to stop the leaf from oxidation. When they’re dried, green tea leaves are rolled to break the cell structure. Wu Long tea leaves on the other hand, are plucked then kept in carefully controlled conditions where they are allowed to oxidize. The leaves are not broken, so most of the cell structure remains intact. It’s these processing differences that make each tea beneficially different from each other, even though they come from the same plant. The active ingredients in Wu-Long tea that are responsible for producing the many health benefits is a compound group called polyphenol, which is reported to activate the enzyme responsible for dissolving triglyceride. It has been confirmed that the continuous intake of Wu-Long tea contributes to enhancing the function of fat metabolism and to controlling obesity. A Department of Dentistry at Japan’s Osaka University study showed that regular drinking of oolong tea, strengthens teeth and helps prevent tooth decay by inhibiting the build-up of plaque. According to a study published in Antioxidants & Redox Signaling, test subjects who consumed Wu-Long were found to have stronger immune systems and a reduced risk for infections. Researchers from Japan’s Shiga University of Medical Science found that drinking Wu-Long each day helps to clear up skin problems within one month. • Oolong Tea may help reduce cholesterol build-up in the bloodstream. • Oolong Tea may help burn fat and thus, may contribute to slimming. 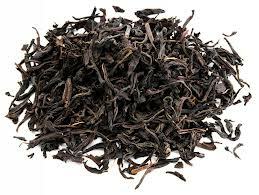 • Oolong Tea can help prevent heart ailments. • Oolong Tea can be used for treatment of digestive disorders. • Oolong Tea can promote longevity by stimulating bodily functions and strengthening the immune system. • Oolong Tea may promote healthier and stronger bones, protecting people from such diseases as osteoporosis. • Oolong Tea can also fight against tooth decay. Puerh A large leaf tea variety or Dayeh, Puerh is grown and picked throughout the year. (Many other teas require a dormant season.) Puerh tea is named after Puerh city in the Yunnan province which was once the main trading centre for teas made in the area. Puerh tastes like black tea, but it falls into a category of its own. One of the most significant things about this tea is that it gets better over time. That’s because it is picked, processed and partially fired to retain moisture. Then while slightly moist, the tea is piled and left to age in special rooms or caves. The aged teas this technique creates can be found in vintages just like wine. Some of them date back more than 50 years. Puerh tea is often called the Wonder Tonic and the “Medicinal Tea” and has been hugely popular in China for over 1700 years. Offered as a tribute to Emperors and high ranking officials of the Chinese Imperial Courts, its high value and incredible health benefits gave it the title “Tribute Tea”. The health benefits and medical use of Puerh tea have been documented in various ancient scripts and famous books throughout Chinese history. Puerh tea is often consumed by Chinese after a greasy or fatty meal. The fat digests faster and you experience far less bloating normally associated with a heavy meal. Many studies have been published showing the health benefits of this amazing tea. A blind study was conducted in France several years ago with 500 hyperlipidemia patients (an advanced cholesterol condition, usually controlled with medication). Half of the controlled group consumed 3-4 cups of Puerh daily, the rest of the patients were given something else. After 30-days the results showed drinking Puerh on a regular basis could significantly lower cholesterol. • Puerh tea is known to help lower blood cholesterol levels. • Puerh tea may help boost the flow of blood and help enhance circulation. • Puerh tea may help inhibit the formation and growth of cancer cells. • Puerh tea aids in the proper digestion of food. • Puerh tea may help invigorate the spleen. • Puerh tea is known to help break down and thus reduce fat in the system. • Puerh tea may help remove toxins. • Puerh tea may help heal aches and pains. • Puerh tea is known to help lower blood cholesterol levels. • Puerh tea may help boost the flow of blood and help enhance circulation. • Puerh tea may help inhibit the formation and growth of cancer cells. • Puerh tea aids in the proper digestion of food. • Puerh tea may help invigorate the spleen. • Puerh tea is known to help break down and thus reduce fat in the system. • Puerh tea may help remove toxins. • Puerh tea may help heal aches and pains. Sencha Sencha literally means “roasted (煎) tea (茶)”. However, the process by which sencha is created differs from Chinese green teas, which are initially pan-fired and could be more accurately called “roasted” teas. Japanese green tea is first steamed for between 15-45 seconds to prevent oxidization of the leaves. This also imparts a difference in the flavour between Chinese and Japanese green tea, with Japanese green tea having a more vegetable, almost grassy flavour (some taste seaweed-like flavours). Then, the leaves are rolled, shaped, and dried creating the customary thin cylindrical shape of the tea. Finally, after drying, the leaves are fired to aid in their preservation and to add flavour. Infusions from sencha and other green teas that are steamed (like most common Japanese green teas) are also greener in colour and slightly more bitter than Chinese-style green teas. Very popular in Japan, Sencha is drunk hot in the winter and usually chilled in the summer. Sencha has high levels of Catechin, a type of polyphenol and a powerful antioxidant. Antioxidants destroy free radicals, which can damage the body at the cellular level and make it far more susceptible to cancer, heart disease, and other degenerative diseases. Recent findings show that drinking 3 or more cups of tea a day may help to reduce the risk of stroke and death from stroke by 21%. Arab, L., Liu, W. and Elashoff, D. (2009). Green and black tea consumption and risk of stroke. A meta-analysis. Stroke, DOI:10.1161/STROKEAHA.108.538470. Long term tea drinking is associated with a reduced prevalence of diabetes in an elderly population. Analysis revealed that drinking 1 – 2 cups of tea per day was associated with the greatest benefit on blood glucose levels; drinking more provided no further benefit. An increase of one cup per day was associated with a 70% lower likelihood of having diabetes (95% CI 41%-86%), after adjusting for confounding variables. Panagiotakos, D.B., Lionis, C., Zeimbekis, A., Gelastopoulou, K., Papairakleous,N., Das, U. N. and Polychronopoulos, E. (2009). Long-Term Tea Intake is Associated with Reduced Prevalence of (Type 2) Diabetes Mellitus among Elderly People from Mediterranean Islands: MEDIS Epidemiological Study. Yonsei Med. J. 50(1): 31- Green tea and cholesterol In a Taiwanese randomised controlled trial, 78 obese women who took 400mg of green tea extract three times a day for 12 weeks experienced significant reduction in LDL-cholesterol and triglyceride levels, and a simultaneous increase in levels of HDL-cholesterol, and the hormones adiponectin (promotes insulin sensitivity) and ghrelin (modulates hunger). (Effect of green tea extract on obese women: a randomized, double-blind, placebo-controlled clinical trial. Clin Nutr. 2008 Jun;27(3):363-70). Green tea expands blood vessels Researchers from Greece tested subjects after they consumed green tea, 125mg of caffeine and 450ml of hot water on three separate occasions. They measured the diameter of the brachial artery in each participant 30, 90 and 120 minutes after they consumed each beverage. Arterial dilation increased significantly with tea by 3.69%, peaking at 30 min, whereas it did not change significantly with caffeine or water. (The acute effect of green tea consumption on endothelial function in healthy individuals. Eur J Cardiovasc Prev Rehabil. 2008 Jun;15(3):300-5). Tea is good for the brain A cohort study of 2501 people from Singapore has found that regular tea consumption is associated with lower risks of cognitive impairment and decline. The effects were most evident for black (fermented) and oolong (semi-fermented) teas. In contrast, no association between coffee intake and cognitive status was found. (Tea consumption and cognitive impairment and decline in older Chinese adults. Am J Clin Nutr. 2008 Jul;88(1):224-31). Green tea prevents fatty liver A US team fed groups of genetically obese and lean mice a diet containing zero, 1%, or 2% green tea extract for six weeks. At the end of the study, the obese mice fed green tea extract weighed 23-25% less than obese mice fed the non-supplemented diet and the lean mice fed green tea extract weighed 11-20% less those on the non-supplemented diet. Measurements of circulating levels of the enzymes alanine aminotransferase and aspartate aminotransferase, which act as markers of liver damage, showed that green tea extract -supplementation was associated with 30-41% and 22-33% lower activities, respectively. No significant differences were observed in food intake between lean and obese animals in any group, suggesting that green tea extract works by decreasing intestinal fat absorption or altering liver fat metabolism. (Green tea extract protects leptin-deficient, spontaneously obese mice from hepatic steatosis and injury. J Nutr. 2008 Feb;138(2):323-31). Drinking green tea before exercise could help burn fat. In a study, 12 healthy young men took either green tea extract, equivalent to 3.5 cups of tea, or placebo, before taking part in cycling trials. Average fat oxidation rates were 17% higher in the green tea group and the contribution of fat oxidation to total energy expenditure was also significantly higher. In a second experiment, 11 healthy men took an oral-glucose-tolerance test before and after supplementation with capsules containing either green tea extract or placebo. Ingestion of green tea extract was found to increase insulin sensitivity by 13%, meaning that it could potentially reduce the risk of type 2 diabetes. (Green tea extract ingestion, fat oxidation, and glucose tolerance in healthy humans. Am J Clin Nutr. 2008 Mar;87(3):778-84). A recent human study has found that people who drank tea four times a day, for six weeks, had lower blood cortisol levels and were able to recover more quickly after a stressful event compared with those who drank a placebo beverage. (The effects of tea on psychophysiological stress responsivity and post-stress recovery: a randomised double-blind trial. Psychopharmacology (Berl). 2007 Jan;190(1):81-9). In another study volunteers were given theanine (an amino acid found in high proportion in tea leaves), a placebo or nothing, either at the start of a stressful mental arithmetic task, or midway through it. The results showed that theanine intake resulted in a significant reduction in the stress response (measured via heart rate (HR) and salivary immunoglobulin A (s-IgA)). Analyses of heart rate variability indicated that the reductions in HR and s-IgA were likely to be due to attenuation of sympathetic nervous activation. The authors concluded that oral theanine could mediate anti-stress effects via inhibition of cortical neuronal excitation in the brain. (L-Theanine reduces psychological and physiological stress responses. Biol Psychol. 2007 Jan;74(1):39-45). Green tea and cognitive decline According to a study of more than 1000 Japanese adults in their 70s, drinking green tea regularly seems to be connected to a reduced risk of cognitive decline. People drinking two or more cups of green tea a day, were half as likely to show signs of cognitive impairment as those who drank three cups or less a week. Even though the study wasn’t able to show a clear connection between drinking green tea and maintaining mental acuity, it may help explain why there is less dementia, especially Alzheimer’s disease, in Japan compared to Europe and North America. (Kuriyama S et al. Green tea consumption and cognitive function: a cross-sectional study from the Tsurugaya Project 1. Am. J. Clinical Nutrition, Feb 2006; 83: 355-361). Any healthy person can use Tava Tea – Wellness Blend, however we advice pregnant women, breastfeeding women, people with know medical conditions and those taking prescription medication to consult your local healthcare professional before using this product. For example: This tea melange is based on the principle of antioxidants and the eradication of free radicals. Free radicals are believed to be causing many healthcare related problems, but are also used in some medical treatments (chemotherapy for example) that use these same free radicals. Drinking this tea during those treatments is therefore not advised! Like any organic substance tea is sensitive to temperature. Many beneficial substances will break down when exposed to high temperatures. Also the wrong temperature will spoil the taste of the tea. Incorrect temperature is one of the most common causes of the bitterness of tea. 1. Pour 600-700ml (3-4 cups) of fresh boiled water into a teapot. 2. Wait until the water is cooled to about 80-85 degrees Celsius. Add the tea. 3. Let the tea steep for 3-4 minutes for the first infusion. The colour of the tea should be warm golden brownish. You’re now ready to drink your tea. 4. Don’t throw away the teabag, you’ve only used it once, and you have not released all the flavours and healthy antioxidants yet! Make sure that the teabag is not kept in water, as the leafs will continue to release its flavours, which we don’t want until the second steeping. 5. For the second infusion, boil 500-600ml (2-3 cups) of water and pour this into a teapot. 6. Again, wait for the water to be cooled to about 75-80 degrees Celsius. 7. Let the tea steep for 6-7 minutes for the second infusion. The colour will be about the same as the first infusion, maybe a little bit lighter. This second steeping releases different tea oils and anti-oxidants, leading to a different taste of the tea. You’re not ready for your second tea session. Please drink no more than 6-8 cups per day to achieve the optimal effect. The menopause can be a very difficult time, but help may be at hand in the shape of a good cuppa. Tava Tea Wellness Blend uses organically grown whole Sencha, Wuyi Cliff Oolong and Puerh tea leaves of the best grade possible. These tea leaves contain a vast array of powerful nutrients and have been used for health and healing in China for over 5000 years. The tea has also become popular amongst women keen to reduce the physical effects of the menopause in addition to promoting general well-being and soothe aches and pains. The tea’s ingredients increase the drinker’s metabolism and reduce food cravings, which become a problem during heightened hormonal activity associated with the menopause. Trudy has been sipping four cups a day and lost half a stone in three weeks. Dr Tim Thurlings, who developed the tea’s unique blend, said he’s delighted to be able to help women during what can be a particularly difficult time. This means anyone can benefit from a cup of this particularly saintly brew…. So, who’s going to put the kettle on?? Olympic athlete Kelly Sotherton on her healthy coffee addiction! Athletes have to stay at peak fitnesses and this includes eating wisely and taking the best nutrients, which is why Olympic athlete Kelly Sotherton loves polyphenol-packed NESCAFÉ Green Blend. Most of us have heard of antioxidants (over nine in 10 if you want to get technical) but far fewer are aware how good they are for us. In fact, around one third of Brits have no idea whether theyre good for them or not. Antioxidants can help protect our bodies cells from day to day damage and you might be surprised to hear that coffee is a major source of dietary antioxidants. This is certainly news to the 1 in 5 people who, according to new research, mistakenly believe coffee is bad for them and fantastic news for the half of UK households who collectively drink the beverage at a rate of almost 14,000 cups a minute! With its beneficial health and taste properties theres no question it belongs in the top three most popular drinks in the world, along with water and tea. However, whilst all coffee is naturally high in antioxidants, for the first time in the UK we now have the chance to drink coffee containing naturally occurring Polyphenol antioxidants. The new NESCAFÉ Green Blend is made of both roasted and unroasted coffee beans, with the latter containing high levels of naturally present Polyphenols, which are also found in green tea and cocoa. Here to explain more about the health benefits of drinking coffee and give you some top tips on how to choose the right coffee to suit you are, NESCAFÉ Master Taster Dave Roberts and Nutritionist Liz Read. Theyre joined by medal winning Olympic athlete and self confessed coffee-lover Kelly Sotherton. London: A new type of coffee which contains high levels of naturally occuring polyphenol antioxidants has been launched in the UK by Nescafé. The new coffee, Nescafé Green Blend, has a combination of traditionally roast beans for the traditional flavour and unroasted beans which contain exceptionally high levels of a plant antioxidant called polyphenols. This antioxidant helps the body fight off degeneration caused by free radicals – damaging molecules which are a by-product of living. Coffee, once a health paraih, is now credited with all kinds of health benefits including helping to prevent liver and Alzheimer’s disease. The goodness of NESCAFÉ Green Blend lies within the unroasted green coffee beans. They are naturally rich in polyphenol antioxidants which can help protect the bodys cells from day to day damage. Polyphenol antioxidants are also found in green tea and cocoa. 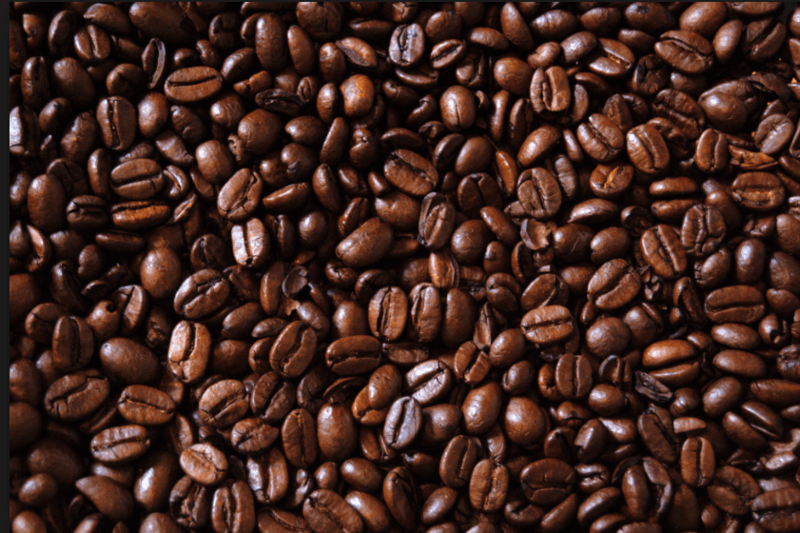 The makers said that the new blend does not increase the caffiene content. All NESCAFÉ coffee is made from 100% pure and natural coffee beans and all coffee is rich in antioxidants. Liz Read, Nestlé Nutritionist, explains: Green coffee beans naturally contain high levels of polyphenol antioxidants. During the roasting process, some of the antioxidants are converted into antioxidants known as melanoidins. A mixture of both types of antioxidants are present in all coffee and the amount present is dependent on the degree of roasting. NESCAFÉ Green Blend has a high content of the naturally occurring polyphenol antioxidant due to the fact that it contains unroasted green coffee beans. Latest research commissioned by NESCAFÉ Green Blend shows that consumers are increasingly aware of antioxidants and interested in the benefits that they can bring to their general health. Launched into the UK this month, NESCAFÉ Green Blend has joined the rest of the NESCAFÉ coffee family on supermarket shelves nationwide. Plums – the cheap & cheerful superfood! Houston: Plums have had their status as a ‘super-food’ by scientists confirmed yet again, by scientists. They found the purple fruit matched or exceeded blueberries in antioxidants and phytonutrients, which help prevent disease. Researcher Dr David Byrne, of AgriLife Research, said tests revealed one plum contains about the same amount of antioxidants as a handful of blueberries. Antioxidants are molecules that sweep through a body looking for free radicals to knock out. Free radicals are atoms or molecules that lurk where diseases like cancer and heart disease are found. Scientist Dr Luis Cisneros, who helped with the Texas-based research, said: ‘Blueberries have some stiff competition. ‘People tend to eat just a few blueberries at a time – a few on their cereal or maybe as an ingredient mixed with other fruit in a fruit salad. The US team examined the full content of plums then tested the effect of the compounds they found on breast cancer cells and cholesterol in the lab. The scientist carried further research which threw up information which they hope can be used for breeding efforts to produce better fruit. Dr Byrne noted that one benefit the team found was that the phytonutrients in plums inhibited breast cancer growth without adversely affecting normal cell growth. He said this type of research needs further study. Dr Cisneros added blueberries, peaches and nectarines have similar benefits to plums. London: Anti-oxidants don’t slow down the effects of ageing, according to a new study published this week in the journal Genes and Development. The research, carried out by scientists at the Institute of Healthy Ageing at University College London (UCL), questions the theory that excess superoxide free radicals increase the effect and speed of the ageing process. Free radicals are unbalanced oxygen molecules produced naturally in the body and are believed to damage tissue. For their study, the team modified key genes involved in removing excess superoxide free radicals in the worm Caenorhabditis elegans. They found that the gene changes didn’t affect the worms’ lifespan. Caenorhabditis elegans is often used in genetic research into ageing because it has a similar genetic structure to more complex organisms, and is easy to control and change. In 1956, Denham Harman – widely known as the father of the free radical theory – suggested that damage done by too many free radicals in the body was responsible for ageing. Since then a number of papers have been published in support of this theory, so it has remained unchallenged for over 50 years. However, this new study has questioned the theory. A recent Cochrane review, published in April 2008, looked at the results from 67 studies into anti-oxidant supplements and increased mortality. This independent review found no evidence to suggest that anti-oxidant supplements such as vitamin A, C and E, selenium and beta-carotene can decrease mortality. The review goes on to show that supplements of vitamin C, E and beta-carotene may actually reduce lifespan. Treat yourself to a cocktail – try the latest from Schweppes which are packed full of anti-ageing ingredients and antioxidants. Edge a rocks glass with Vanilla sugar, add the milk thistle and the elderflower cordial and stir with a couple of ice cubes. Add the remaining ingredients. Garnish with a thin grapefruit zest. The active ingredient in Milk Thistle, silymarin, protects the liver from toxin or disease-related damage by stimulating the regenerative ability of the liver to replenish and strengthen liver cells. It can even improve digestion by stimulating the gall bladder. As a powerful antioxidant, silymarin may also prevent highly reactive oxygen molecules called free radicals from damaging cells throughout the body, especially in the liver where it may reduce damage to liver cells caused by overuse of certain prescription drugs. Shake all but the Russchian in a shaker filled with ice, strain into a highball glass and top with Russchian. Garnish with a slice of ginger. Muddle the rum, lime and honey together until the honey has dissolved into the rum. Add the spices and the grapefruit zest, shake over ice and strain into a rocks glass filled with ice. Garnish with a zest of orange speared with cloves. Muddle the mint with the elderflower cordial in a highball glass, fill with crushed ice and add remaining ingredients. Garnish with a mint sprig and serve with two straws. Long refreshing, elegant and very British cooler. Build all ingredients into a frosted champagne flute. Garnish with a thin grapefruit zest. Beautiful, violet-coloured drink presented in a sophisticated tall champagne flute. Shake all ingredients over ice a shaker and strain into a highball glass with ice. Top with Russchian. London: Weve hand-picked the very best produce and ingredients that we could find to bring you the biggest Farmers Market in the country and you, being as passionate about produce as we are, should come and meet some of the best producers, taste their delectable produce, learn from them and challenge your tastebuds. Over 500 producers will gather at Earls Court 24-7 April 2008 to celebrate food that is good, clean and fair. With all the talk about the integrity, quality, provenance & sustainability of food in the UK and around the world, we thought it would be a great idea to show you the choices that are out there. The big difference with the Real Food Festival is that the producers that are hand picked to attend are also heavily subsidised to exhibit. This means that you will get the opportunity to meet some of the best and smallest producers in the world and eat some of the most fabulous food that will leave your mouth watering and your toes tingling! As well as the amazing producers, you will also be able to learn how to bake bread with food guru Barny Haughton of Bristols renowned Bordeaux Quay, taste wines with the maker, challenge yourself in a food debate, tantalise your tastebuds in a taste workshops, meet some pigs, follow a produce trail or just chill on a hay bale and listen to a farmers story. Real Food is passionate not preachy, the integrity of the festival will challenge the way most of us think about food on a day to day basis and will inspire a wide audience to change their eating habits in favour of a more sustainable way of eating and enjoying produce. The Festivals Taste workshops will teach you all sorts of things from the differences between cows and goats milk to wheat and malt beers. The workshops provide the ultimate test for your taste buds, created by eco-gastronomes Clodagh McKenna and Sebastiano Sardo of Foodiscovery. The Real Food Festival is not just a London event. We have just returned from a gastronomic road trip around the country where we have been meeting local producers, from Jersey to Orkney. You will be able to meet the people who reared the pigs, planted the carrots, milked the cows and crushed the grapes: you can taste their produce, learn about it and take it home. Eco Icons such as Zac Goldsmith, fully support our festival, The way we eat, what we eat, where our food comes from, these are central issues. The Real Food Festival will change the way we think about food and give producers and consumers an opportunity to meet and share their passion for authentic quality produce. We promise to celebrate the diversity of modern artisan food, from producer to plate. Visitors will be able to meet and speak to 500 hand-picked producers from Britain and the world. Visit our website The Real Food Festival to get updates of our journey. Tickets which can be bought online cost £15. Autumn is nearly upon as and with it comes the dreaded flu and cold season. An estimated three in 20 people will have flu by the New Year. Most at risk are the elderly and those with weak or depressed immune systems. Whilst a flu jab is an advisable preventative measure there is a lot more we can do to protect and boost our bodys immune systems. For example, by eating superfoods and taking supplements known as antioxidants, that help protect our body from infections. These supernutrients not only have the potential to help you be healthier and look younger for longer but will give you the best possible chance of fighting off viral infections such as colds and flu this winter. In Japan, for example, doctors are combating heart disease by prescribing CoEnzyme Q10 (CoQ10), a fat-soluble vitamin-like substance produced by our own bodies. This substance is an essential component of the mitochondria, the energy producing unit of our cells, where it helps produce the bodys fuel. The role of CoQ10 is similar to that of the sparkplug in a car engine. Low levels of CoQ10 have been linked to several diseases, in particular congestive heart failure. Ageing humans have been found to have 57% less on average compared to young adults. But there is increasing evidence that it can help prevent and even reverse several diseases of ageing  heart failure, gum disease, muscular dystrophy, diabetes and chronic fatigue. In healthy individuals its effectiveness can be experienced in the gym where it can assist in cardio-vascular endurance. Antioxidants help the body defend itself against attack from free radicals, the unstable molecular structures, caused by pollution, stress, smoking and drinking to excess, that damage cells and which scientists believe are the trigger for cell mutations that cause cancer and other ageing diseases. Ideally, antioxidants should be consumed as part of a well-balanced diet, but since many processed foods are deficient, dietary supplements should be considered. Anyone who is pregnant or taking pharmaceutical drugs for a serious illness should consult their doctor before taking supplements as some can interact with medication. Included in the list of supernutrients are foods that release energy slowly into the blood stream, those with a low Glycemic Index, that keep energy levels constant and prevent tiredness and the onset of diabetes. Oats are one of the best sources and it also lowers cholesterol and blood pressure. 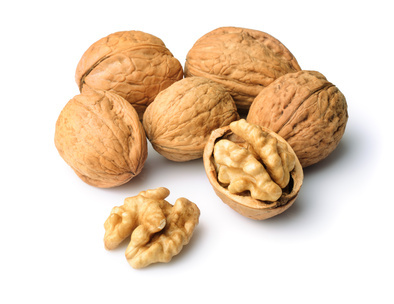 Other superfoods to include in your diet are eggs, one of the best sources of protein; green tea to protect against heart disease and cancer; nuts such as brazils that contain selenium which protects against cancer and improves thyroid function and walnuts for a healthy heart and olive oil and soya to reduce cholesterol. Eating oily fish regularly helps protect the brain and has the added bonus of giving us beautiful skin. Mackerel, herrings, tuna, salmon, sardines and anchovies all contain omega-3 essential fatty acids (EFAs) as do flax seeds (linseed) and flaxseed oil. New York dermatologist, Dr Nicholas Perricone (www.www.nvperriconemd.co.uk) describes DMAE, a substance found in abundance in wild Alaskan salmon, as “the magic bullet” for skin. In his book, The Perricone Promise, he explains how you can look 10 years younger in 28 days by eating supernutrients, including salmon and DMAE and have a healthier brain and slimmer body at the same time. DMAE is also a building-block of the brain neuro-transmitter acetylcholine which declines with age and causes a deterioration in muscle-tone as well as brain function leading to Alzheimers. Red/Orange: Tomatoes, strawberries, oranges, carrots, sweet potato, pumpkin, red and orange peppers, and salmon are rich in vitamins A, C and E.
Green: Cabbage, spinach, avocado, kiwi fruit and peas are rich in vitamin A.
Yelow: Lemons, melons, mangoes, yellow peppers and grapefruit are all rich sources of Vitamins A and C.
Purple: Blueberries, blackcurrants, red cabbage and beetroot are excellent sources of vitamins A, C and E.
White: Garlic, onions, cauliflower and walnuts are rich in vitamins A, C and E.
London: A healthy diet is eating the right food for your age and gender.That is the advice from one of the UK’s leading food scientists, Dr Sian Astley, who belives that in the future food will be formulated for different ages and sexes. She said the same diet is not for everyone that the sensible approach is best. Young women, for example, who those hoping to become pregnant should eat foods with folic acid such as green leafy vegtables, asparagas, citrus fruit, wholemeal breads and cereals. This form of vitamin B helps prevent defects such as brain and spinal impairments. At the samt time they should also have an adequate intake of iron, as many women of child-bearing age do not eat enough red meat. But as people age the body’s food requirements change. Busy people and mothers need to keep energy levels up therefore its wise to eat complex carbohydrates to provide a slow steady release of energy. And in old age we need to prevent some of the common diseases such as osteoporosis and Alzheimer’s by eating calcium rich goods, vitamin B and plenty of oily fish. Men becoming increasingly at risk of prostate cancer as they age so they should boost their intake of anti-oxidants that boost the immune system such as tomatoes.These foods may also help women who may be at risk from herediary cancers. This new study is the latest to support the growing body of evidence that eating healthily is the biggest contributor to longevity. Comments Dr Astley: “As we get older, our bodies are less effective at avoiding disease; our immune systems are less able to detect and mount a defence. This results in an increased risk of cancer, cardiovascular disease, diabetes, cataract and arthritis. ‘Poor diet can accelerate this process whilst 80 per cent of casecontrolled studies support the hypothesis that a diet rich in fruits and vegetables can reduce the risk of age-related illness.’ She cautioned-however, that there is no guarantee that even the healthiest of diets will be able to ward off illness. For instance, cereal manufacturers may provide versions fortified with particular age-groups or sexes in mind. ‘We are not expecting 500 types of Weetabix for every type of person, but perhaps five that are formulated differently for different types of diet or age,’ said Dr Astley. Nashville: Fruit and vegetable juices have the potential to protect against the devastating brain disease Alzheimer’s, according to US scientists. They examined the effects of drinking fruit and vegetable juices more than three times a week amongst 2,000 people for 10 years and discovered that it reduced the risk of the disease by 76 per cent compared to those whose intake was less. Doctors believe that the findings confirm that diet can play a huge role in whether you get the disease. It is thought that protective substances in fruit and vegetables known as polyophenols, protect the brain from accumulations of bad proteins. The study carried out at Vanderbilt University, Nashville, Tennessee, and participants consumed juice with high concentrations of pulp and peel which contain the most polyphenols. London: Research just published in The British Journal of Nutrition reveals that drinking a glass of light cranberry juice every day boosts good cholesterol and shields the heart with its unique antioxidant power. Scientists have found the refreshing fruit juice delivers a dual benefit to boost heart health and has similar benefits to red wine. A clinical study by researchers at Laval University in Quebec City, Canada, shows daily consumption of light cranberry juice increases the amount of good cholesterol in the body by 8% as well as providing strong antioxidant protection against bad cholesterol, a major cause of heart disease. The findings add more benefits to long standing research already associated with cranberry juice including its ability to ward off urinary tract infections and potentially cut the risk of gum disease and stomach ulcers. This latest study indicates that cranberry juice improves circulation by increasing the level of high density lipoproteins (HDL), or good cholesterol, which carries fatty particles in the blood stream away from the heart. Critical to the study was the product used in the research: Ocean Spray Cranberry Classic Light, a low sugar, high concentration (25%) cranberry juice drink. Another recent laboratory study at the William Harvey ResearchInstitute at St Bartholomews Hospital in London found that a serving of cranberry juice each day could be as good for the heart as red wine. Scientists tested cranberry juice drink, light cranberry juice drink (both at 25% concentrations), a California merlot and an Argentine cabernet sauvignon and found an average serving of cranberry juice drink was equivalent to a glass of red wine in their relative potential to prevent atherosclerosis  a condition that leads to thickening of the arteries and can result in a heart attack or stroke. Reference: Favourable impact of low-calorie cranberry juice consumption on plasmaHDL-chloesterol concentration in men, British Journal of Nutrition (2006), 96, 357-364 Notes to Editors: Laval University conducted a 12 week study, looked at 30 men aged 18-70 who were slightly overweight, had an elevated LDL (bad cholesterol) level, were not taking medication and were given Ocean Spray Light Cranberry Cocktail (UK equivalent is Cranberry Classic Light) Heart disease is Britains biggest killer with 125,000 deaths a year. According to the British Heart Foundation nearly half of all deaths from coronary heart disease in the UK are due to raised cholesterol, which is estimated to affect seven in ten adults. There are some 270,000 heart attacks in the UK each year while around 2.1 million people have experienced angina, the chest pain that is the main symptom of coronary heart disease.